If you know me well than you know that I love pickles. In college there was the "Pickle Guy" at the local farmers market who gave out pickles on a stick and he definitely recognized. 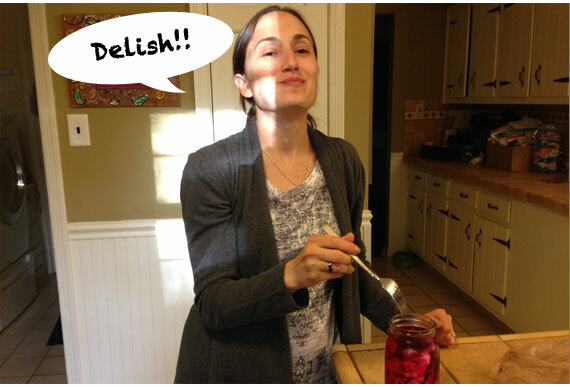 I love just about any vegetables pickled, I'm even starting to have an appreciation for pickled beets thanks to a delicious salad my friend, Beth, made the other day! 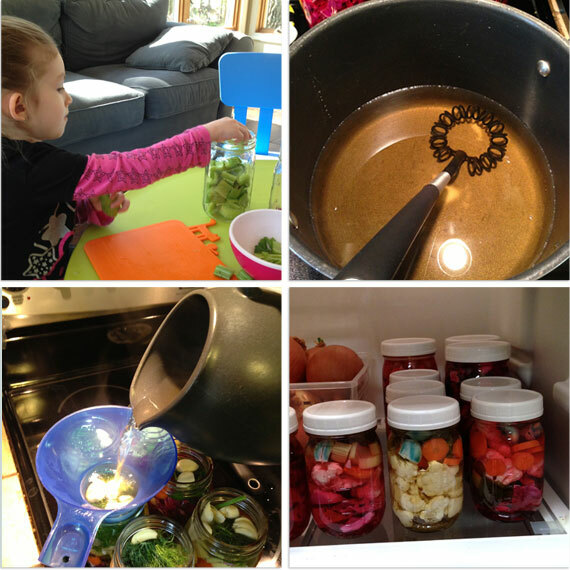 The pickled cabbage was made by our friend, Bryan, with his two kids. Thi and Bryan love being in the kitchen and even got Maya her own (awesome) kid friendly knife and cutting board for her birthday! I promptly emailed Bryan after tasting it and asked about his recipe. He gave me his basic recipe and my imagination started running! Here is my version of his pickled veggies. Too bad we have to wait at least two weeks to try them! UPDATE: Pickles are AMAZING!!!! The kids loved them too, it counts as eating veggies, right? 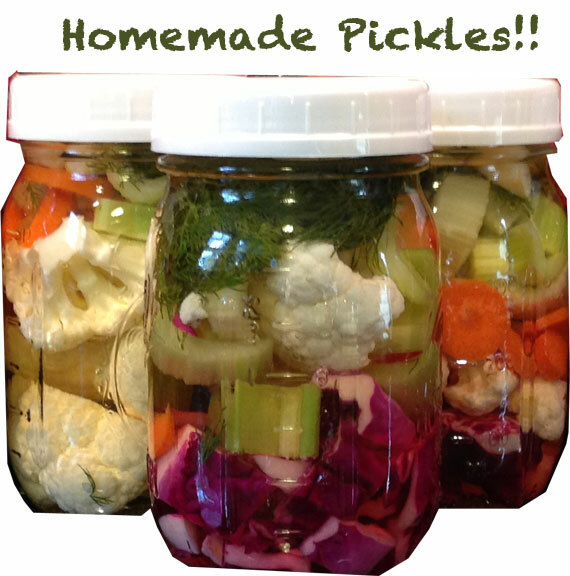 This recipe made three quart size mason jars and seven pint size mason jars of pickled veggies. 1. Chop the veggies into bite size pieces and place them in the jars. 2. Place a handful of dill in each jar. 3. 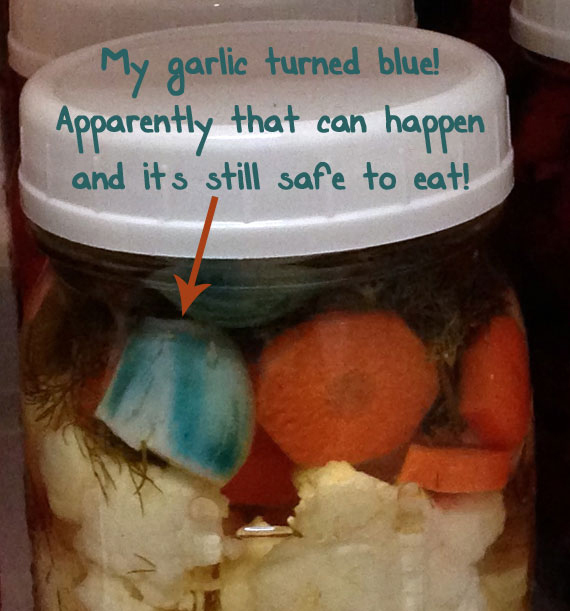 Crush garlic cloves with the side of a knife and place 3-4 in each pint size jar and 5-6 in the quart size jars. 4. 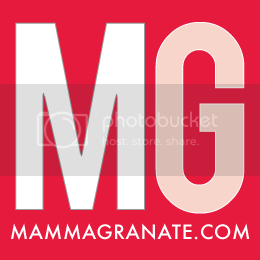 Place both the white and apple cider vinegar in a pot along with the salt and bring to a boil. 5. 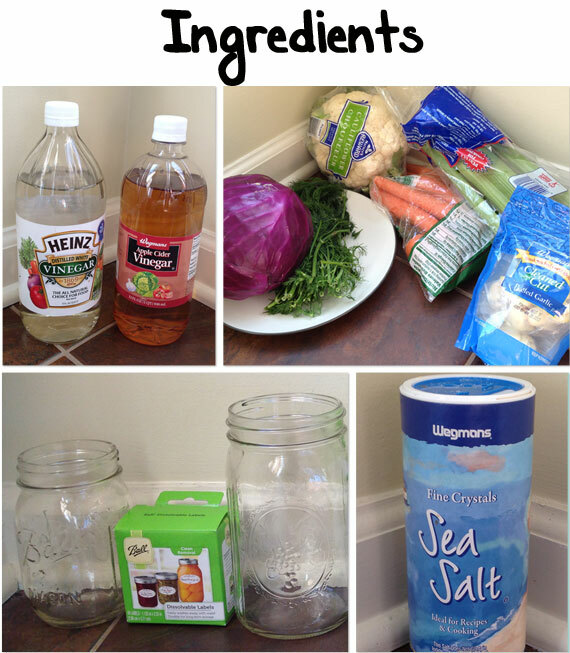 Pour the boiling vinegar/salt solution over the veggies in the mason jars and put the covers on. 6. Let cool and place in the refrigerator. 7. Wait two weeks and ENJOY within a month!